« Countdown: 10 Days Until the Symposium! Lorraine Wu Harry is serving as a part-time campus staff member with InterVarsity Christian Fellowship at Pitzer and Pomona Colleges in Claremont, CA. After volunteering with InterVarsity for 3 years, she is now in her 11th year on paid staff. She enjoys eating crab, lobster, shrimp and bacon and riding her bicycle with her daughter Audrey in a bike seat. I am passionate about seeing college students realize how much God can use them in the lives of other people. As a younger college student, I myself was completely changed as older students and staff in the fellowship taught me the Bible, loved me and challenged me. I caught a vision for campus ministry as a student and since then have had the privilege of watching God develop many generations of students into purpose-filled laborers for his kingdom. What is your familial status and what are the challenges as well as benefits (for your vocation, spirituality, personal growth, ministry, etc.)? I am married with a daughter who is almost two years old. There are many benefits of my situation. 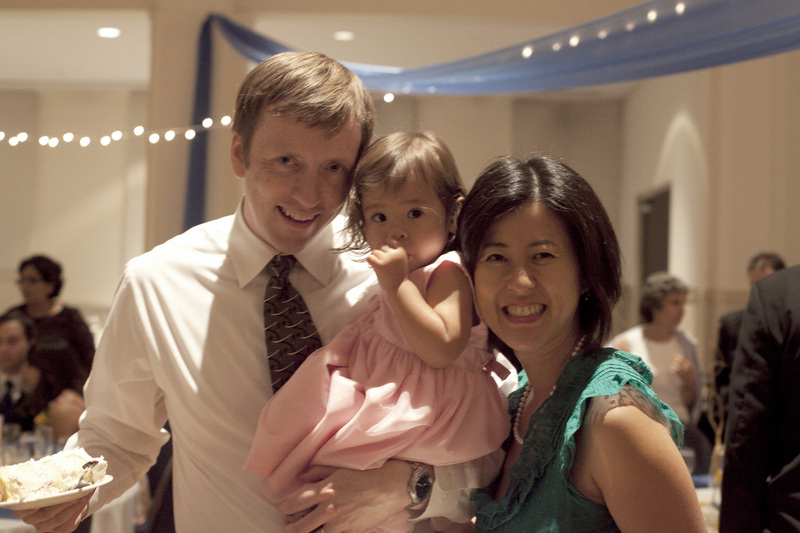 First of all, my husband Chris is my staff partner so we have a great deal of flexibility in our schedules to minister to students and to care for our daughter, Audrey. Chris and Audrey get to see each other a lot which is, I think, a benefit for both of them. As a family we are together a lot as well. I have the privilege of continuing to do work that I love while also being Audrey’s main caretaker. I feel like I have the best of both worlds. Another benefit is having lots of students who love Audrey (and provide free babysitting!). One challenge is having enough energy. Instead of relaxing once Audrey goes to bed, I do a lot of my work. I have meetings with students most nights of the week, including one that begins at 10pm! College students’ schedules are not that compatible with a toddler’s schedule. Chris is an incredible servant and gets up in the morning with her while I sleep another couple hours. What is a word of advice/encouragement/etc. that you would offer to other evangelical Asian American women? Know that God has placed unique gifts and strengths in you both as an Asian American and as a woman that are valuable to the whole body, including to men and to non-Asians.